M.M. Mithaiwala Pvt. 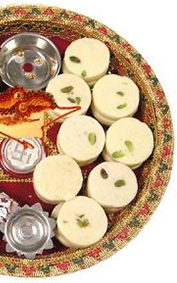 Ltd., is a leading manufacturer, wholesaler and retailer of Indian sweets and snacks. dry fruits, spices, cereals, poppadoms (papads), mouth freshners (mukhwas) and a large variety of vegetarian foodstuff based in Mumbai, India. Our clients include industrial canteens, hospitals, flight kitchens, 5-Star hotels, wedding caterers, and reputed MNCs. We cater to national and international markets by offering quality products at unbeatable prices. M.M. Mithaiwala is consolidating its export business by focusing on countries with sizable NRI populations in Europe, US, Canada, Hong Kong, Singapore, Malaysia, Australia, South Africa, New Zealand, Sri Lanka, Mauritius and countries of the Middle East. Our Indian and international clients can now place their orders online and make payments through our website! 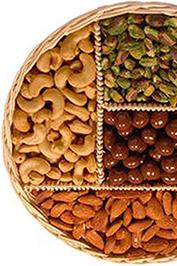 Our products span the entire range of traditional North Indian, Bengali, Gujarati and dry fruit sweets. We are also known for our Indian snacks, savories (farsan & namkeen), fast food, chaats, Punjabi and South Indian cuisines and delicious lassi. We also supply cereals, spices, poppadoms (papad), mouth fresheners (mukhwas), dry fruits and all types of vegetarian foodstuff. Our products span a wide spectrum of more than 500 lines of sweets and snacks for every occasion and befitting every budget. Our sweets like our festivals are colorful, diverse in taste, and rooted in regional traditions of confectionary making. We have wedding and party time specialties and our Bengali Sweets are widely appreciated by connoisseurs for their taste, variety and presentation, making them ideal corporate as well as personal gifting favorites.